The college experience promises new friends, campus living and endless parties. But what about the loneliness, stress and struggles? Young adults are living away from home, usually for the first time, to join institutions much larger than their high schools. And many are struggling quietly with mental health conditions — or ‘invisible’ disabilities. In 2015, 65% of students polled reported experiencing overwhelming anxiety1; it is only one of many such statistics. 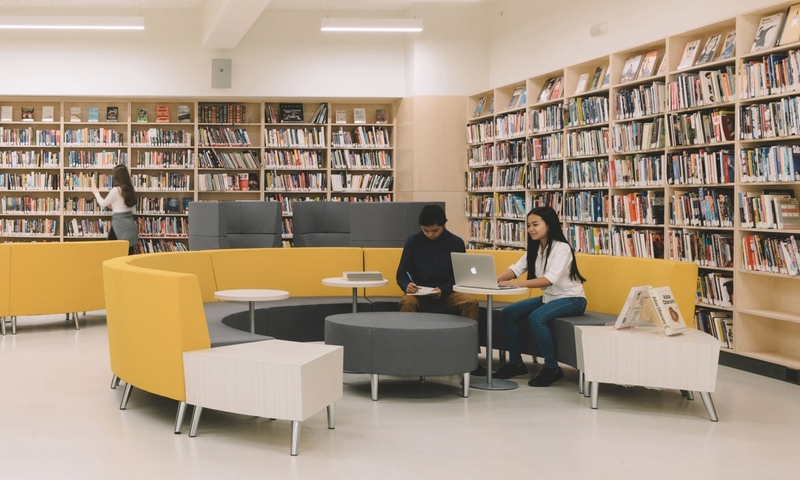 Despite the staggering numbers, post-secondary institutions often struggle to allocate the right resources that support students academically and emotionally. Of course, schools are not treatment centers. But the campus is an important aspect of student life. How can post-secondary schools accommodate the wide range of student needs to ensure wellbeing and mental health? Physical accommodations should be considered during the interior design process so that students struggling with anxiety, depression or addiction remain an equal member of the school community. These are not ‘special’ accommodations. Rather, thoughtful design details are simply about supporting more students. Students need to feel a sense of community, especially when they are miles away from home. The campus should have spaces where people will naturally convene. 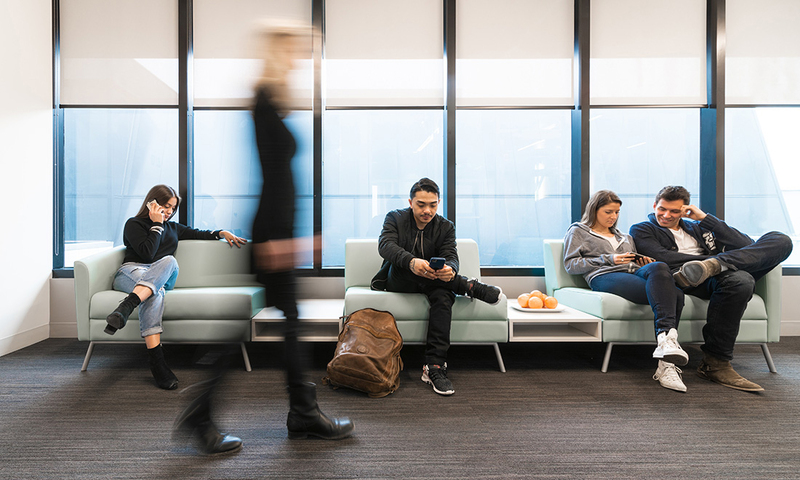 Common areas located in high traffic areas can encourage students to sit down with others. Seating should be comfortable — think beanbags and sofas — and grouped together to promote interaction. Social activity, even short and spontaneous, can help students feel a little less alone. After all, happier students mean higher retention rates. Snoezelen rooms offer a calming retreat. The start of a new semester, the week of final exams and the ‘new-ness’ of the post-secondary experience can be incredibly stressful. An on-campus Multi-Sensory Environment (MSE), a space devoted to therapeutic use, can be a welcome retreat for overstimulated students. Snoezelen rooms, created in the late 1970s by two Dutch therapists, are a notable example of MSEs. These spaces make it possible for clients and therapists to create calming, personalized immersive environments. 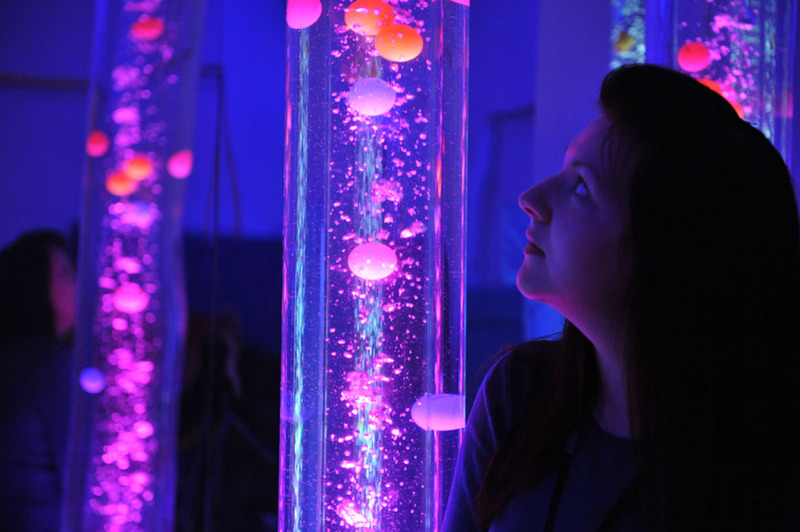 Much like a stress ball in the office, Snoezelen rooms feature different “tactile items to squeeze, touch, stretch or pull — these repetitive motions can be self-soothing.” Lighting is usually dimmed and colored. 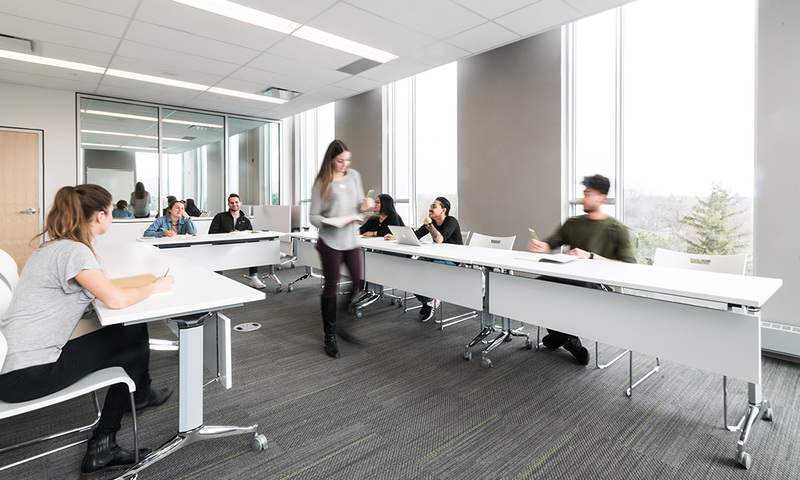 In the case that a campus does not have the resources to accommodate an MSE, it can still incorporate therapeutic elements into existing common areas. 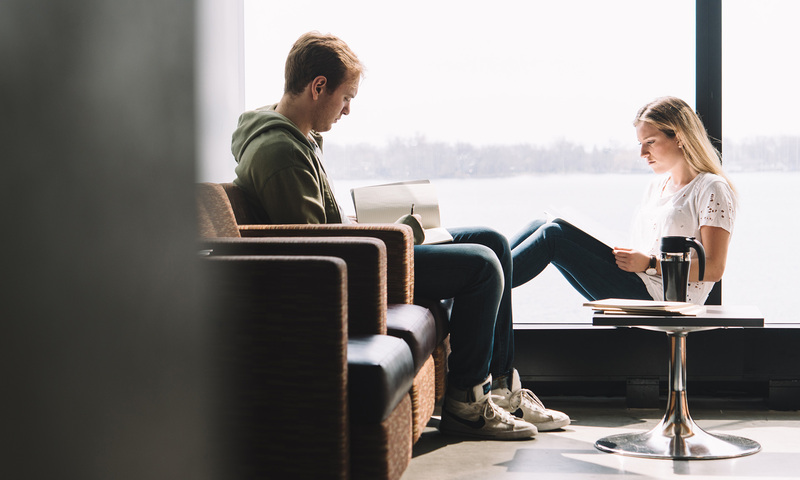 Isolated quiet corners in a library with a soft beanbag or an armchair can provide stressed students a much-needed escape from the noise of the campus. Let us look at classrooms, for instance, where students have the most contact with their instructors and peers. This is a space that must be versatile. Small improvements, like the way a classroom is configured, can make a positive impact on the way students learn. Modular, mobile furniture is an easy and affordable way to add flexibility to an older classroom. To support learning and teaching needs, classroom layouts can be easily rearranged for individual work, small group projects, and full class discussions. Data outlets should be located throughout instructional spaces to allow students to access technology as needed during classwork. The idea is to provide choice for the users of the campus space, whether it be the classroom, library or cafeteria. Universal design encourages designers and decision-makers to take more physical and emotional needs into consideration. Accommodation should be the standard, rather than an afterthought or a burden. Incorporating green space into school buildings can help students feel more relaxed. Besides improving overall well-being, bringing outdoor components indoors has been shown to increase productivity and performance.4 For students who spend most of their day inside, natural light in the classroom or library makes a big difference. Green walls and indoor gardens are also achievable additions to existing spaces. 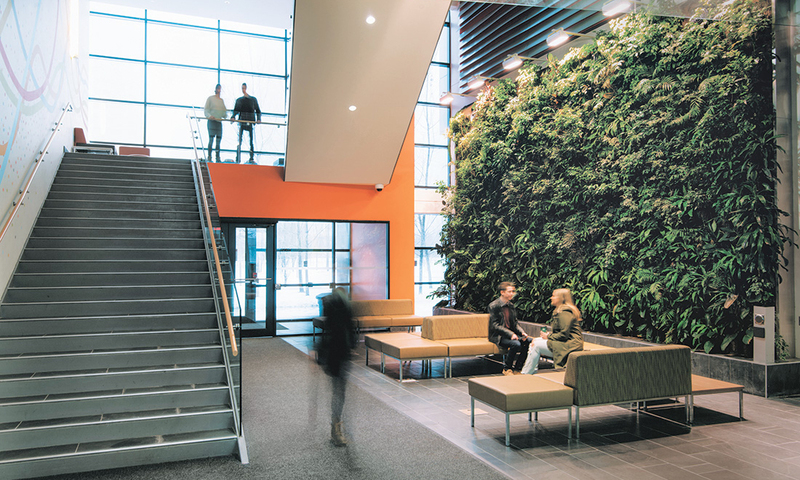 At the University of Toronto, located in the heart of the city, there are plant walls, green roofs and even an indoor bamboo garden accessible to students and faculty. When students feel stressed, anxious or depressed, these details can provide a breath of fresh air. For students who live on campus, the dormitory is their home away from home. Generally, dorms should encourage a sense of community. Welcoming common areas, communal kitchens and doubles rooms can help facilitate meaningful friendships. However, each student has unique mental health needs. For students who prefer personal space, private rooms need to be available. Even the length of a hallway matters. Students with rooms at the end a long hallway from the bathrooms are more likely to talk to their neighbors as they pass by. Flexibility is a recurring theme when it comes to accommodation. 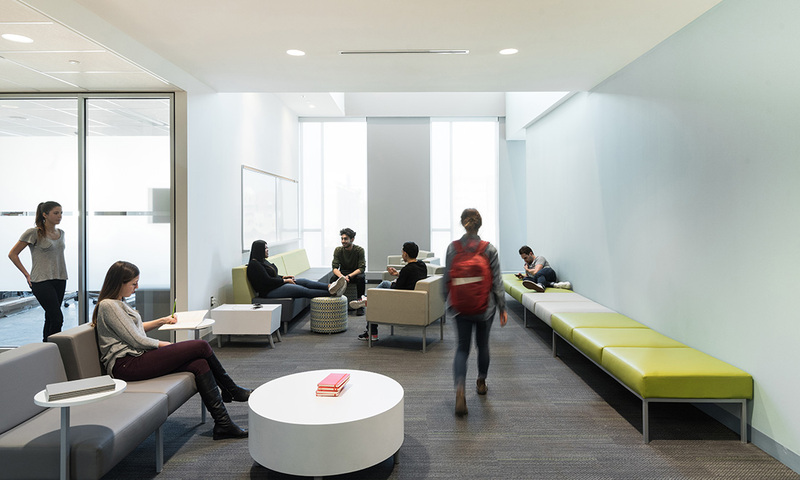 Whether schools are creating new spaces or improving old ones, an accommodating campus can be achieved by even the smallest of improvements in interior design. Most importantly, all students will feel happier and healthier at a school that welcomes them. 1 Council of Ontario Universities, In It Together: Taking Action on Student Mental Health, November 2017. 2 Frank Bruni, “The Real Campus Scourge,” The New York Times, September 2, 2017. 3 Anne-Marie Womack, Teaching is Accommodation: Universally Designing Composition Classrooms and Syllabi, February 2017. 4 Kaitlyn Gillis and Michelle Biggar, “Designing Interiors for Human Health,” SAB Mag (blog), January 3, 2017.